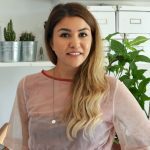 Fashion brand Darzah is preserving of Palestinian culture, heritage and beauty while also helping women help themselves. Every piece of clothing has a unique story. Every part from the thread, the buttons and the patches that are sewn on, tell a story about where it came from and how the piece was made. These questions are not something we typically ask or ponder when we go to a store and pick out something new for some retail therapy. We don’t always know what happens at the back end of the fashion world and how beautiful and elaborate patterned clothes are sewn and manufactured. Sometimes, there is a historically significant and beautiful story behind a brand’s image. Take for example Darzah and the art of Palestinian Tatreez. 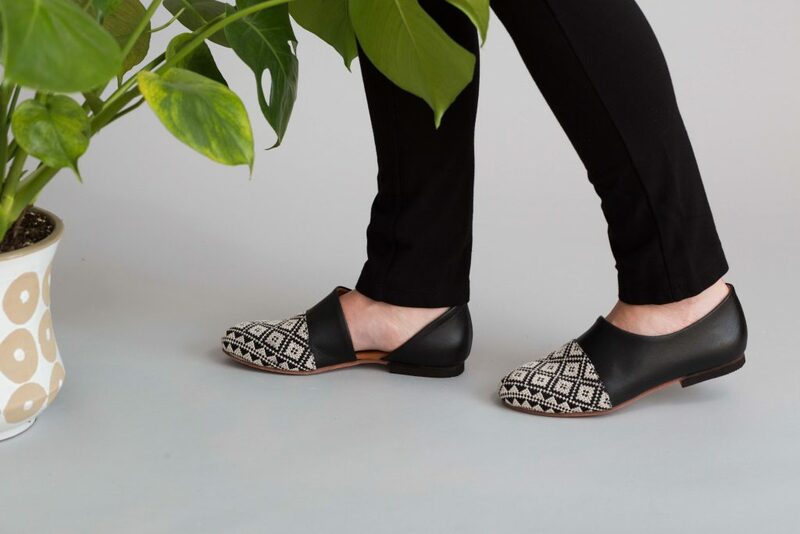 Darzah, a company based and built in the U.S, showcases the story behind their Palestinian embroidered shoes and accessories, encompassing important themes in the preservation of culture, heritage and beauty in fashion. 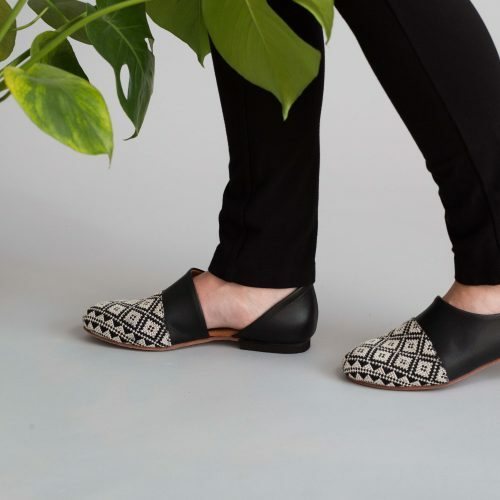 Darzah is a non-profit women’s economic empowerment initiative and ethical fashion brand that sells handcrafted shoes, tote bags, scarves, throw pillows, accessories, and more. 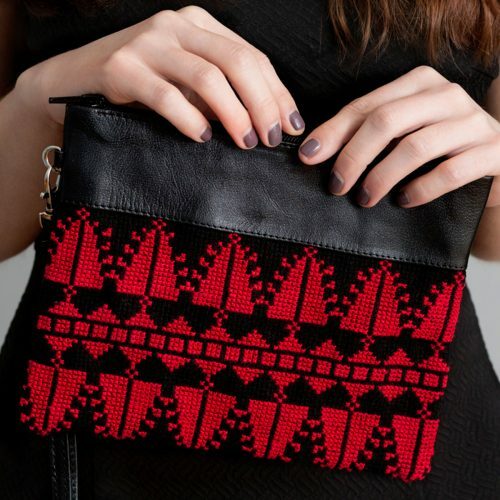 They all feature the beautiful Palestinian art of Tatreez, a traditional form of hand-stitching that has been passed down from generation to generation. 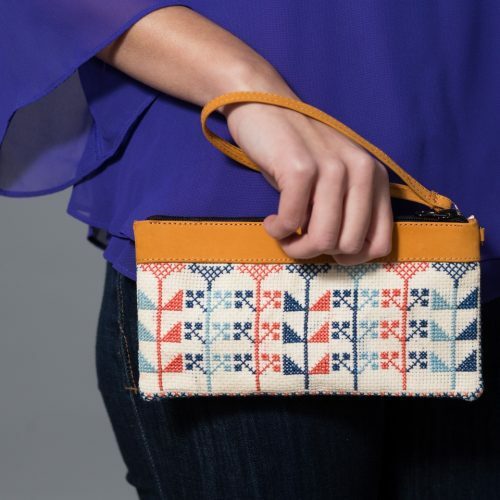 All of the products have been stitched and hand embroidered by refugee and low-income female artists in the West Bank, where the recorded unemployment rate for young women in recent years was incredibly high. This initiative would not be taking effect, if it weren’t for the strong women behind it. Executive Director, Dr. Janette Habashi, originally from the Old City Jerusalem, gave us some insight on the importance of the mission, how it was formed, and tells us about the women behind the thread and needle who create and stitch the intricately beautiful Tatreez. The economic empowerment mission behind Darzah is fascinating, but every story has a beginning. How did Darzah begin, and what inspired it all? The concept of Darzah started in September 2015 as part of our non-profit, Child’s Cup Full, which has been training and employing refugee and low-income women in the West Bank for many years. There are so many women all over Palestine who know how to do Tatreez embroidery, but often do not have access to the international market. Also, making a sustainable living with this skill set can be very challenging. We therefore, decided to focus on building the Darzah brand in the U.S as a way to create more opportunities and also to give more visibility to this beautiful Palestinian art. Tatreez is a traditional ethnic embroidery that is passed down from generation to generation. Do the artists receive training if they are not familiar with the method? Or do they have to have prior experience? Most Palestinian women are trained to do Tatreez at home or at school. Some women are able to make a career out of this art, primarily selling their pieces locally and some do it for leisure or to create pieces for their families. The training is usually informal as it’s part of a longstanding cultural ritual that’s passed down from mother to daughter, generation after generation. Some women are definitely more skilled than others and our artisans’ skills definitely cover a wide spectrum from professional embroiderers to women who are familiar, but haven’t had the opportunity to develop the technique. 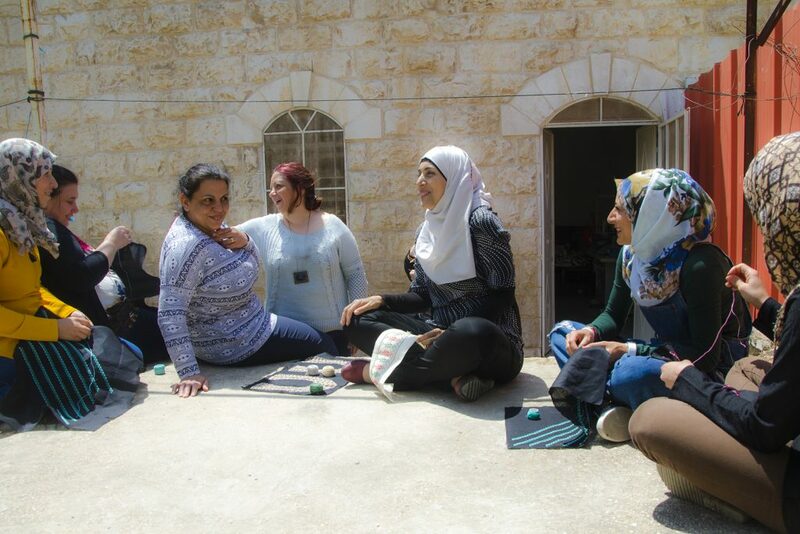 Our goal is to train refugee and low-income women regardless of their skill level so that we can hire as many marginalized women in the West Bank as possible. Is the work all done at home or at an establishment where materials are provided for them? 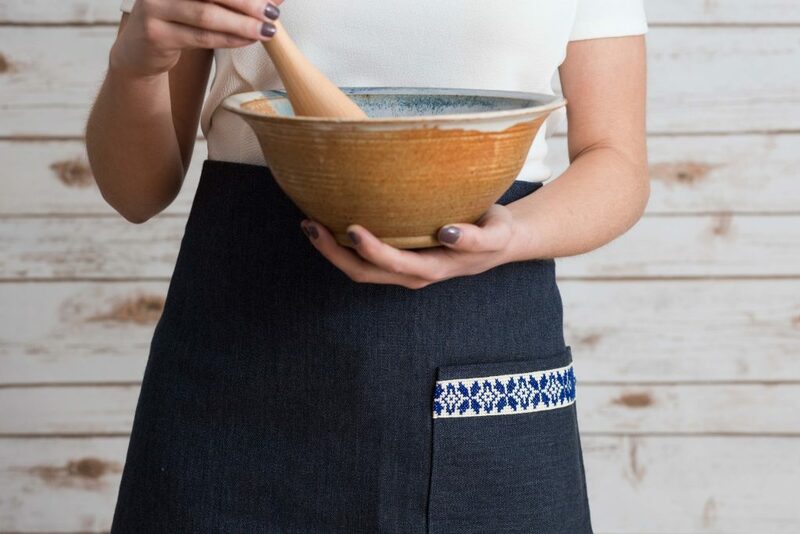 We use the term “artist” and “artisan” interchangeably, as the Tatreez embroiderers are part of the design process as well as the embroidering and sewing process. At our artisan center in Zababdeh in the West Bank, we have sewing machines and materials that the artisans use to make our products, so we supply those to all of the women. Some women also embroider at home, depending on their availability. We want to be flexible with the artisans, as some have responsibilities at home that impede their ability to work at our artisan center, so we supply them the materials to work from home as well. 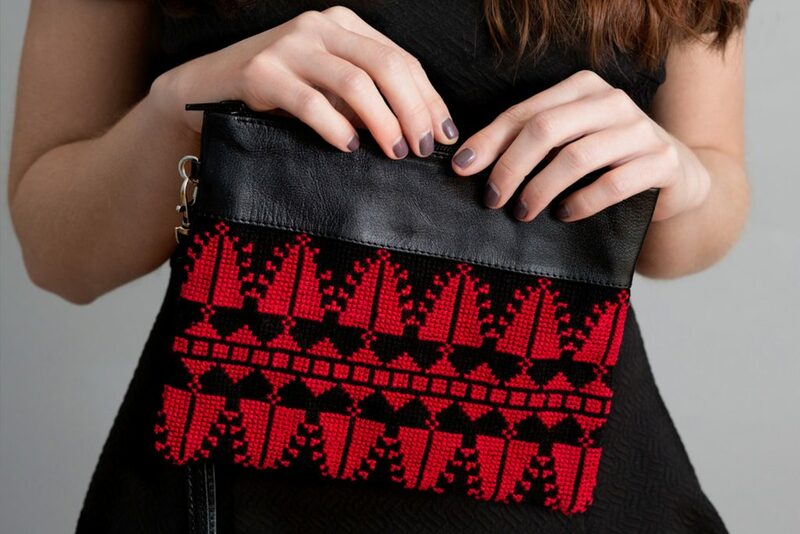 As an ethical fashion brand, it’s important to us that Palestinian Tatreez is properly attributed as a Palestinian art form and that it’s ethically made. How has Darzah helped to empower women, economically? Are there any examples/stories that you can share to highlight its success? We know from experience and research that women who have economic security will help their families and community at large. 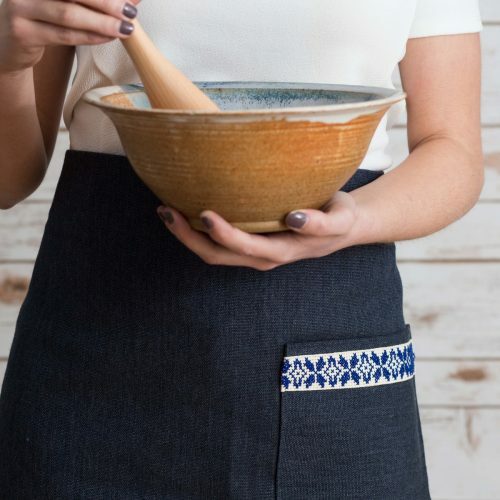 One example that comes to mind is one of our embroiderers, who is a single mom, a divorcee and is currently living with her parents and extended family members. She wants to eventually live on her own with her children. Through employment with our social enterprise, her economic security has definitely opened up doors for her to work towards that, creaming more opportunities for her children. We know that by employing women, and in some cases they become the breadwinners of their families, the sustainable income offers them choices that are otherwise may not be available to them. Because of the Palestinian oppression in many areas, and the changes that have been made in the political dynamic there in relation to Israel, is Darzah able to keep some of the Palestinian heritage alive? Thankfully, there are a lot of local and international initiatives to keep Palestinian heritage alive that not only focus on Tatreez, but also in food, art, and architecture. Our goal is to be a part of this international movement to preserve the history and celebrate the culture. We want to be able to share this art form with the world. 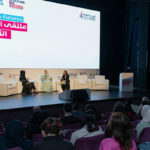 It’s so important to make it visible, accessible, and also educational so that people anywhere can share the knowledge of Palestinian culture with their communities. You mentioned that you are making the markets accessible, internationally, for the artists and their consumers. What markets have you been able to reach, and is this all online, or in stores too? We focus mainly on the U.S market, as I have been living in the U.S for over 20 years and I’m currently a professor at the University of Oklahoma. 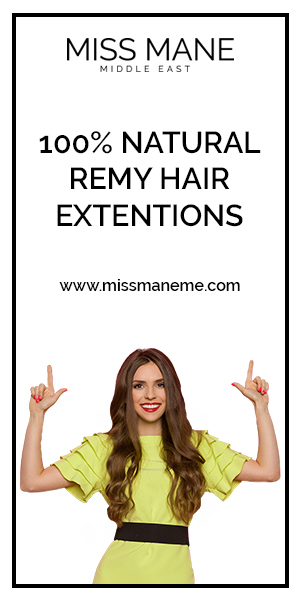 We have an online store and we’re working hard to build our customer base online, both in the U.S and internationally. Our Assistant Director is based in Portland, OR, so we do a lot of pop-up shows and events on the West Coast and Midwest, including shows like the Renegade Craft Fair, West Coast Fair, and the Islamic Society of North America’s Annual Convention in Chicago. We also sell wholesale to a small number of fair trade stores and boutiques around the country. We’d love to grow the business in all of these areas. The more products we sell, the more jobs we can create in the West Bank, and we hope to establish a self-sustaining business in the next year. The world of fashion is rapidly changing, and oftentimes it includes a lot of ethnic features in some designer’s pieces. How do you expect, or have seen, Tatreez make its way into the market? 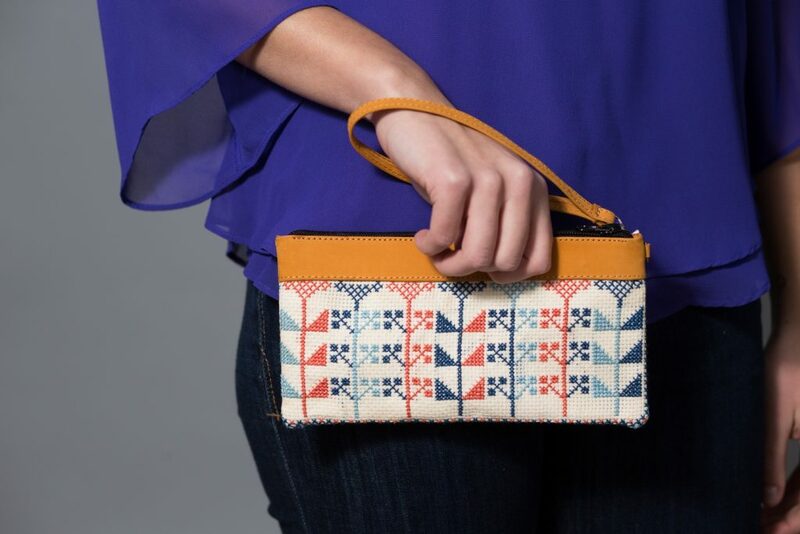 It’s true that Tatreez can be found in fast fashion, but often people have no idea the designs are Palestinian, and they are made by machine instead of crafted by hand. There’s a huge difference between authentic, handcrafted Tatreez products, and mass produced products. 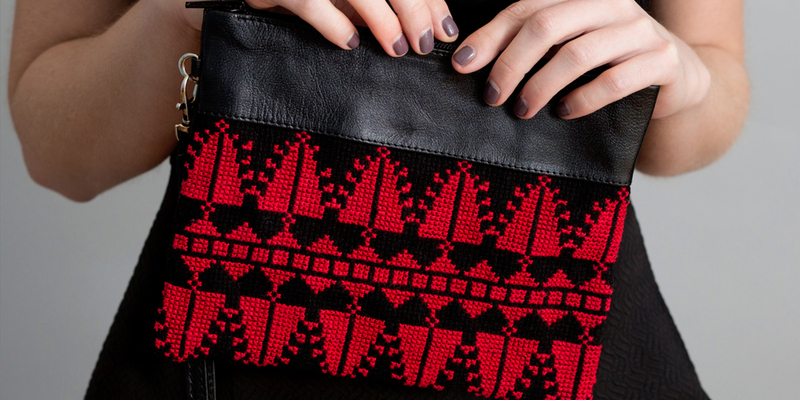 As an ethical fashion brand, it’s important to us that Palestinian Tatreez is properly attributed as a Palestinian art form, and that it’s ethically made. We are fair trade certified, which means that we commit to paying living wages to our artisans and paying fair prices for our materials. 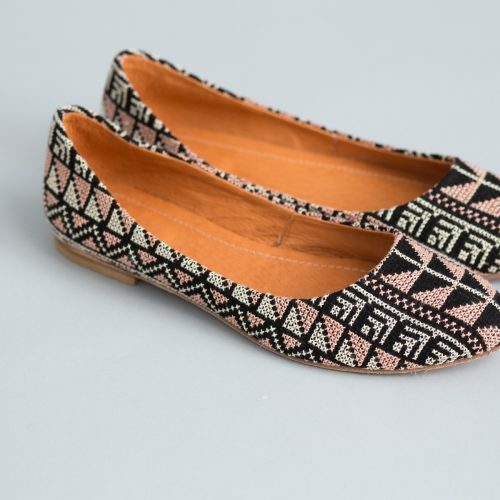 We would love to see ethically produced Tatreez become even more popular in mainstream fashion. We see a huge amount of power in fashion in creating jobs, empowering women, and educating people about traditional art forms. To check out the beautiful pieces on Darzah, click here. To donate to their LaunchGood campaign, click here.